Work for AWS Device Farm? Learning about AWS Device Farm? AWS device farm provides you the ability to test your application or software on multiple devices with different configuration of hardware and OS.It is a cloud based service and requires us to upload the application and select the devices to test.Almost all of its things are automated but if a tester requires manual interaction then it can be accessed through web browser and touch or any other type of interface can be provided. The pricing for device farm is high according to me. Yes recommended if you want you application to be tested in multiple device configurations and don't want any physical hardware cost to incur.It is simple to setup,you just have to deploy the application and select the configured device you want to test on or batch of devices and everything is ready to be tested.So it is a good testing service to use. I am using aws device farm as one of the testing tool for my client's software or mobile app.Many a times we require to test on multiple environments and we prefer device farm over physical devices because it saves us the useless investment and we can have our app tested also in different environment at low cost. "A good Multiple device tester"
You can never test your service in all the devices and os present in this current scenario but at least you can have most of them run and tested using device farm as it provides you the platform to deploy multiple devices with different configurations on cloud and have your app tested and you can also provide physical inputs by accessing any particular device through web.It is one stop solution for device testing of your service on multiple devices. Nah it is a good service for app testing and web app testing on mobile devices. I would recommend it for app testing in multiple simulated environment on cloud and make sure that your app or web app is without bug and provide your client with the best possible product.It eliminates the need of physical devices to test and also automates many other things so I recommend it for testing. I am using aws device farm every time I require to test any mobile or web app for my client and provide them the best built which is tested on multiple devices and can run bug free on them.This is not possible as a manual operation because we have hardware constraint but using simulated devices deployed on cloud makes it much much easy. 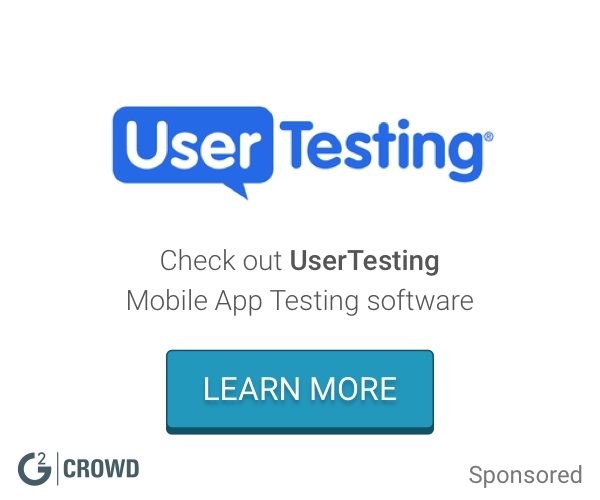 What Mobile App Testing solution do you use? "Very great service for testing cloud applications"
AWS Device farm has made us test our any service or application on multiple devices with different hardware and software at the same time.It is very cost effective and speedy.You can use this as the best automatic testing application.Also you can manual control over any device in the farm and access it through your browser.You can interact with it using touch simulation over the web so it is a perfect service for your testing purposes. Nothing much to dislike about aws device farm. Yes I would recommend using aws device farm to others especially for testing in multiple configuration scenarios.You need to make sure that the application you develop is compliant with all the configuration and is tuned to work in all the environment and mostly when you are inteded to release it globally,so for that using aws device farm for automated multiple testing is a best option. I am using aws device farm as my major service for testing all the services and applications hosted on cloud.These applications are developed for my client and are intended for a variety of market so testing it across various configuration is duly necessary so I use device farm to make sure the application is compliant with all possible configurations. "A very good applications tester." The best thing about aws device farm is the application idea itself.This is really a state of the art technique in testing the application through device farm.You really cannot test your application on all the available configuration.It would be good that your application is test across various configuration and that too automatically and can be done manually when required.This is the best thing about device farm.It can be used to test your applications feasibility over 100s of devices and in variety of configuration.This is why I like device farm. I have nothing to dislike about aws device farm. I recommend considering aws device farm because it is the best available service for testing your own application across multiple devices and that too at the same time and get access to anyone when required.It can also replicate manual testing by passing manual touches to the particular device.It is really a great aws service for testing to consider using it. My main usage with device farm is to test my application after development.It has given me power to test very quickly across all types of configuration like different hardware and software os.This is the main reason why I started using device farm for testing automatically. "Best for bulk and high scale testing." AWS Device farm provides you with a large number of mobile devices to test your mobile app or service on it.You can literally instantiate more than 1000 instances of you web app or service and start testing how it works on a large scale.You can also operate each of them through your browser window manually and provide touch input and get related response.Also the devices have a large variety in them like different configurations in terms of hardware and operating system both.So it is good for testing your mobile app or service. I am using aws device farm for testing my mobile services and have found nothing bad about it. I recommend using aws device farm because it provides best automated testing over a large number of devices so that you can actually know how your app will behave after deployment and whether will it be capable of handling such a large number of audience.Also you can interact with it through your browser window for manual testing using individual instances so that you can also manually test your web service.finally it is cost effective so I recommend using aws device farm. I develop mobile and web services and sometimes both which depends on the targeted audience.So we need to make sure that the product we develop scales perfectly and works fine in different types of environments and configurations so I use aws device farm for testing my web services and also get logs for the bugs that are caused so I can be sure that the service is up and ready for real world deployment. "Scalability and availability testing of your app "
AWS Device farm is a unique service which allows you to test your app at the same time on a large number of devices which are emulated by aws.Using this it will ensure that the app or service which you want to deploy for larger scale works fine by simulating a real time environment.It also helps you take logs of any glitches or bugs caused in any device which is a great thing and using that you can improve your application before deployment.Such kind of service makes sure that your app works perfectly well after being deployed and your customers get best product they need.One more best thing about aws device farm is that it gives first 1000 minutes free to test the aws service so that if you are satisfied than only you can pay for that service.You can interact with your app from the simulated instances directly from your web browser and also pass gestures and touch sequences to test your app.It is the best form of automated testing. I have nothing to dislike about aws device farm except that its cost is little high.Though it provides 1000 minutes free so that we can pay for service only if we are satisfied. I recommend using aws device farm for mobile app,mobile web services testing because whenever you are deploying your service or app in mobile market you have to be sure in every sense that your app works fine,like the app should be easily scalable and capable of serving expected amount of users.Also the app must work properly in various versions of operating systems and many more testing terms are there,so for that instead why not use aws device farm which gives you enumerable number of devices to test your app each having a taste of all the major versions and hardware requirements so that you app is tested properly.Also aws device farm lets you interact to the device through browser and also generate logs which is a great service so for testing mobile app I suggest using aws device farm. I develop web apps and mobile apps for my clients and mainly my work focuses on developing mobile web services i.e. the web services designed for mobile and can be integrated in mobile app.So as the ios and android market is a huge one we need to make sure that our client's app is working perfectly fine by testing it by all means.Before we use to do it manually but since I came to know about aws device farm we offer our client an option to test their apps and mostly they choose aws device farm over manual because it is worth paying for it rather than after deployment maintenance. "Cumulative testing of your application"
Aws device farm is the best service from aws in the testing category.If you want to test your software application or service before any online deployment for large scale effects and to make sure that your deploy is final deploy without any queries then aws device farm is what you need.It really gives you the strength of number of device instances running your app at the same time.You can provide physical inputs through accessing them through web browser.It is very easy to integrate and test using aws device farm. The number of inputs to multiple device is restricted which should be there according to my requirement.Rest all is good about it. 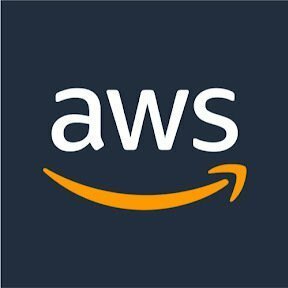 My recommendations to others considering aws device farm is that you can consider using it for testing purposes before deploying it on cloud for public.It enables you to cross verify the integrity and scalability of the application and through this testing you can make appropriate changes and have your application work much better. I have to deploy many applications and services on the cloud but before deploying it we have to test the service to make sure it is up to date and is capable of handling loads after deployments,so I use aws device farm to test the service on multiple devices which also ensures that the application works on different permutations of hardware and software.It is very easy to use and is also much more productive so I use it. "Best way to test and fix apps before they go live!!" The fact it's an app testing service and that it works to support both iOS and Android applications!! You can test, view, and interact with the data in real time which allows you to fix issues immediately -- and before the public can post them. Simulating real world environments is also key. Apparently there are other app testing services that cost less - but the client opted to go with Amazon based on their full AWS themed environment. Amazon is offering a free trial of 1000 device minutes so it might be worth exploring this solution to see if the meets the needs or goals of your business. We're able to avoid looking immature and bring the best experience to the application the first time. The AWS Device Farm allows us to mimic the client experience in the US, UK, and even Japan and without publishing bugs or errors within the app. Downtown is reduced. Time savings is realized and that's big. "An invaluable service for making sure your site is mobile ready"
AWS Device Farm provides many different mobile devices for you to test your site with, while providing you with a service similar to remote desktop which lets you interact with the device as if you were using it, allowing you to see exactly how your site or app works. I have used the device farm many times to track down problems with sites that only certain users were experiencing. You can be testing several IOS devices, and several different Android devices with a few clicks of the mouse. The pricing structure is done on demand, which lets my costs be very low, especially compared to the alternative of buying devices outright, or renting physical units. The amount of devices is limited, which results in a wait time until you can use them, though I have never experienced over a 10 minute wait, which is much less than the time involved in renting or borrowing physical devices. I would like to see touch-screen integration happen at some point, as using mouse to control devices designed for touch can be a pain, especially when you are using a touch enabled laptop to test on, though that feature would simply be for convenience. Make sure you are familiar with this service as soon as possible. It will provide you with a nearly invaluable service in terms of diagnostics & certification,. If you are doing site testing, rather than app testing, which requires you to use a remote instance, be sure to have your tests laid out ahead of time as your cost is calculated by time used. The cost is, however, quite low and provides no argument against using the service.. The Device Farm solves several problems, especially the costs and logistics involved in acquiring a wide range of mobile devices. The device farm also opens your site to all mobile users, which is something that brings great peace of mind and lifts the workload from your support staff. The AWS Device Farm is by far the most accurate mobile testing I’ve found on the web. I wish there was a flat fee for their pricing structure to help me budget my projects more accurately. I would recommend that anyone building an app take advantage of the free minutes AWS provides you. Once you see how useful it is you'll start using it for all of your development projects! AWS Device Farm provides the tools that I accurately need to test apps on all platforms without having to invest in the actual hardware. "It is very fast and easy to navigate through"
It is a website that you can always use. It is very easy to navigate and find things. Its a great way to communicate with workers and make the advertising easier. If a person does not want social media to promote their ad. This way is easy to to do and is still confedential. "Device farms never worked before. Amazon fixed that. " Incredible access to multiple devices and versions without having to own a huge pile of smartphones. The cost. It works out to be cheaper than owning all devices and works for testing particular situations in particular devices, but you’ll still want to own a core set of devices on your own. Customers sometimes have a crash or UI glitch on a device we don’t have in house. Using Device Farm we can test out exactly what the customer experiences without having to purchase a costly device. "Easy, up-to-date, 1 step ahead"
"Basic device testing for preliminary functions"
Very easy to get up and running, and if my memory serves correct reasonable pricing too. It is not a replacement for user testing, and has some strange results while testing hybrid apps. "Helped us test on multiple devices. " Allows us to test on multiple devices that we may not have on hand. Can’t think of anything that I truly dislike. Mobile devices have so many configurations to test. Device farm makes it a lot easier to get proper test coverage. Loss of connectivity sometimes.drivers not updated. * We monitor all AWS Device Farm reviews to prevent fraudulent reviews and keep review quality high. We do not post reviews by company employees or direct competitors. Validated reviews require the user to submit a screenshot of the product containing their user ID, in order to verify a user is an actual user of the product. Hi there! Are you looking to implement a solution like AWS Device Farm?